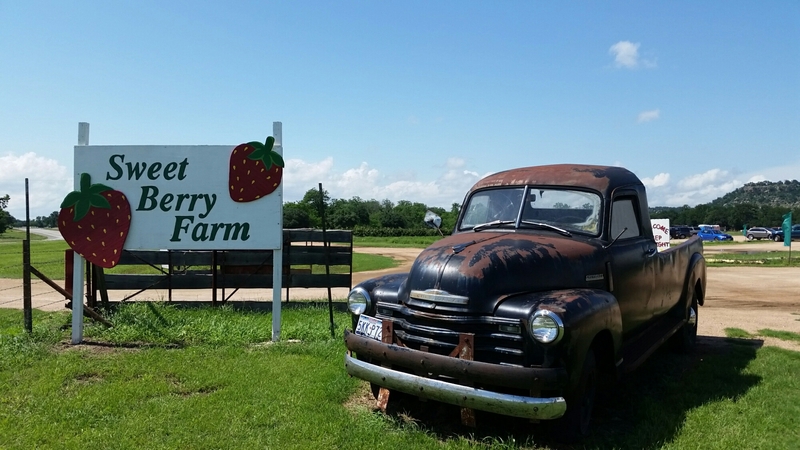 Rows and rows of sweet strawberries sit on the vines, just waiting to be picked, and calling your name from Sweet Berry Farms! Hurry and go get them, but before you go, check out my Mommy Tips for making the most of your visit! 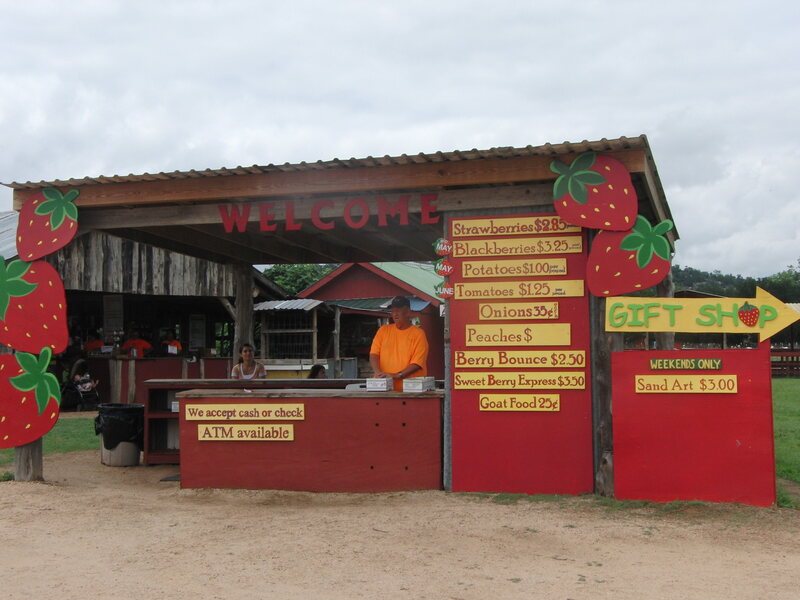 Sweet Berry Farm only accepts cash and checks. No credit cards. There is an ATM. Call before visiting to check on produce availability. They have a hand-washing station, but some wipes would also be helpful. 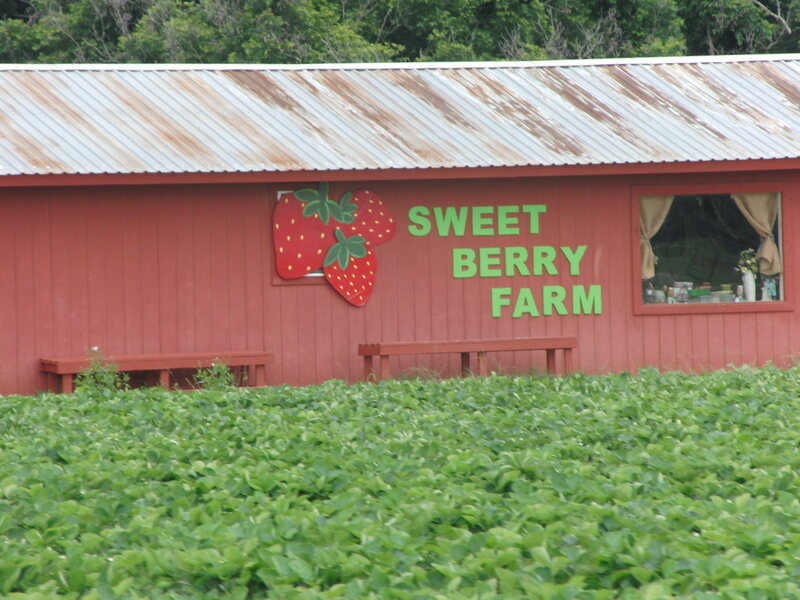 Sweet Berry Farms is best known for their strawberries, for which they have rows and rows! The farm plants different varieties, so ask which ones are ripest at your visit! 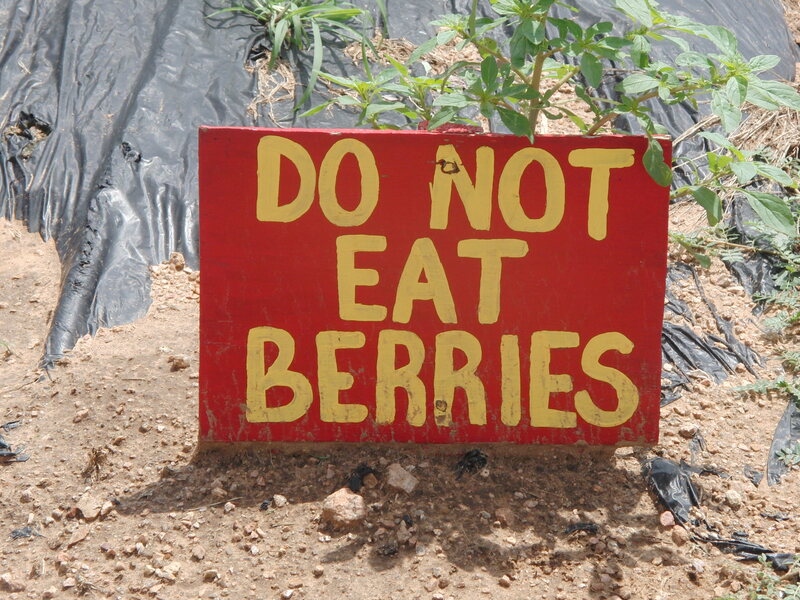 Your purchase is based on the weight of your berries, so they ask that you not eat them. Which is really impossible. Just try not to have berry stained fingers when you hand them the money! During berry picking time, there isn’t an admission charged to visit the farm, just pay for your berries after you pick them! My dad loved blackberry cobblers, so many of my late spring days growing up were spent picking wild blackberries along the railroad tracks in East Texas. 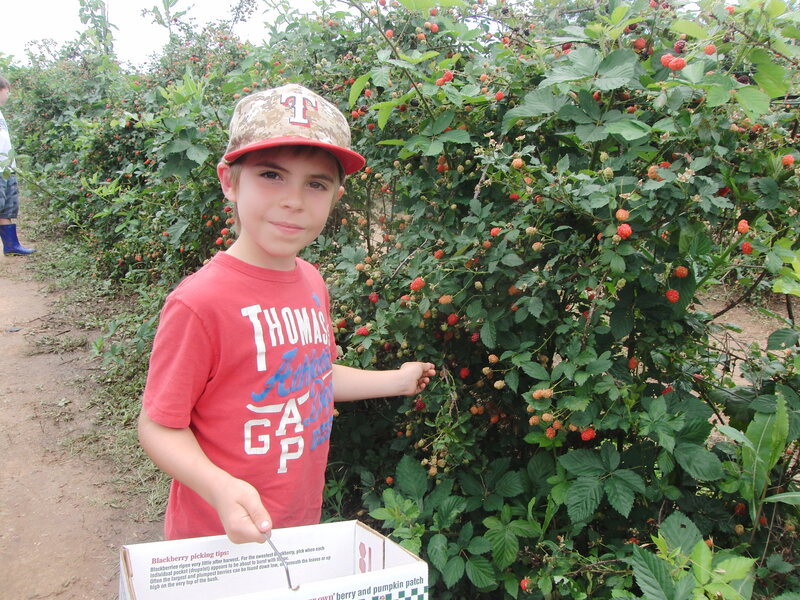 Picking the super ripe berries at Sweet Berry Farm brings back some great memories for me! The berries at the farm do have thorns, and while some pickers had gloves to protect their hands, I think it’s harder to not damage the fruit while wearing them, especially for kids. 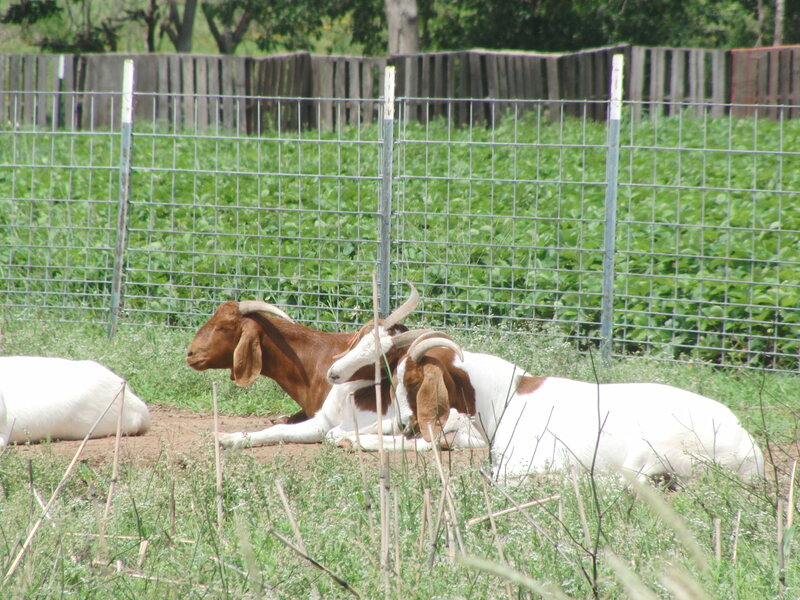 Grab a couple of quarters to feed the goats from the coin-operated machines! 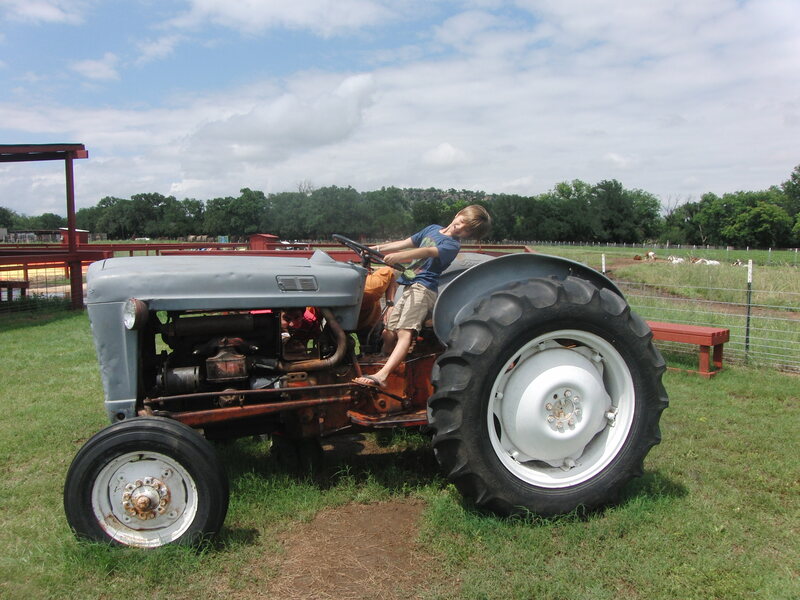 My kids had fun posing for me on this old tractor. Be sure and bring your camera, there are plenty of photo props! 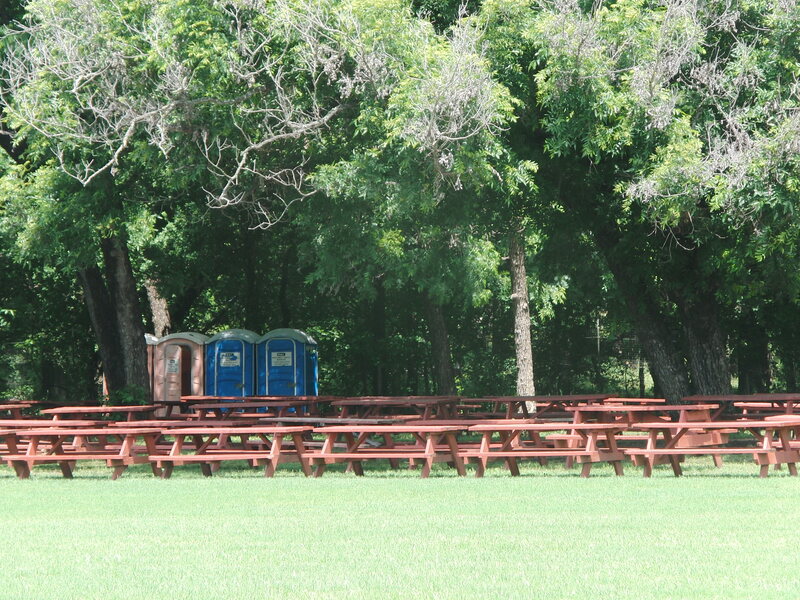 There are plenty of shaded tables, and picnic baskets are welcome! Don’t you just love the hill in the background? 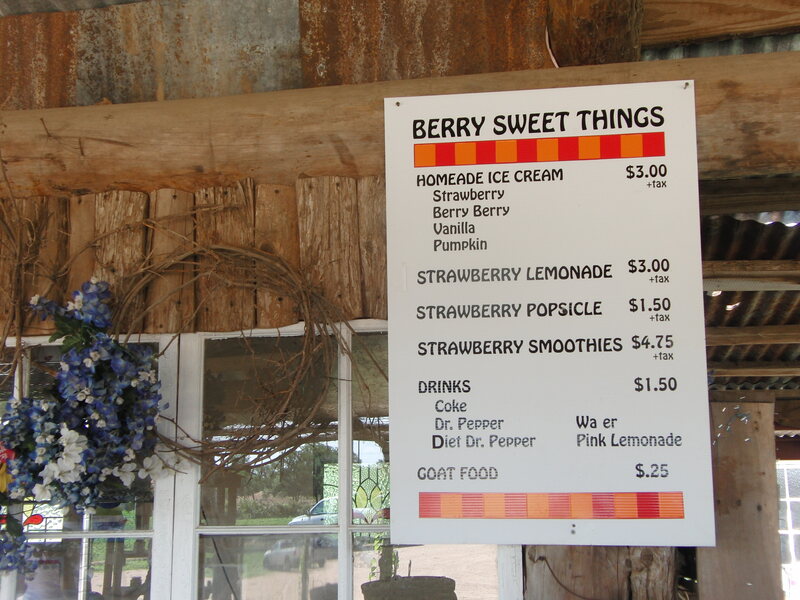 Sweet Berry Farms also sells drinks and products made from berries grown right there on the farm! During late spring and early summer, the farms has peaches to pick in their orchard across the street from their berry patch! The trees are kept low to the ground to make picking easy, no ladder required. Even my 7 year old could easily reach the fruit! The peaches were delicious! Again, ask the Farm Hands which peaches are the ripest at the time of your visit! Each October, the farm offers fun activities and you can choose a pumpkin! 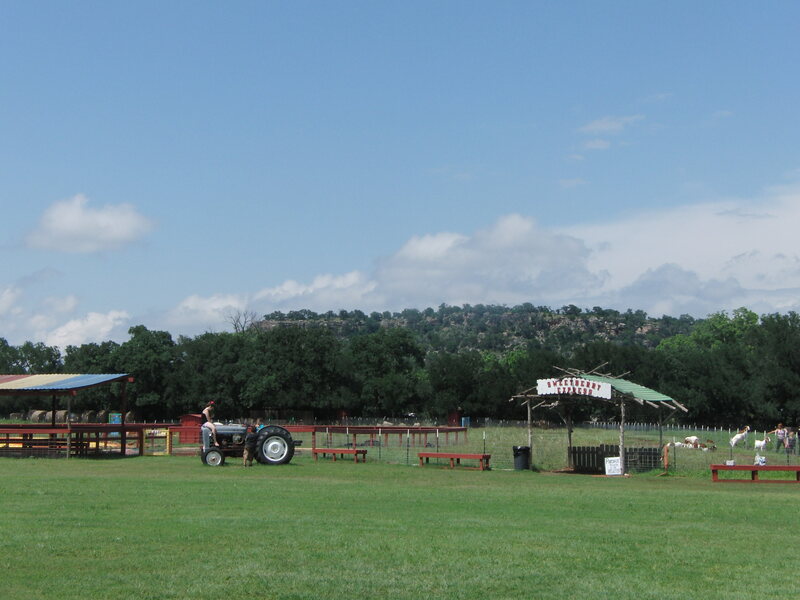 Hidden Falls Adventure Park is a 3,000 acre family outdoor adventure park offering a variety of activities and 240 miles of off-road ATV trails. Click HERE to visit their website. Lake Marble Falls is a great location for water sports. Balcones Canyonland National Wildlife Refuge offers some beautiful hiking trails, and entrance is free of charge. Click HERE to visit their website. Krause Springs in Spicewood is a privately-owned spring-fed swimming hole open to the public for swimming and overnight camping! It’s really amazing! Click HERE for more information. Hamilton Pool offers day visitors scenic hiking and swimming in a collapsed cave that created a splendid grotto with cold, spring-fed water! Click HERE for more information. Longhorn Caverns SNA tours the beautiful insides of Texas! Click HERE to visit their website. Inks Lake State Park has overnight camping, swimming, kayaking and much more! Click HERE to visit their website.